By Byron Pitts"Nightline" spent 48 hours with U.S. Border Patrol agents and the Tohono O'odham reservation police force to get a firsthand look at the battle on the border. "The Tohono O'odham Nation is one of our most problematic areas," Arizona Commander Jeffrey Self of the U.S. Border Patrol told "Nightline". "The narcotics smugglers have moved up into the mountainous area. There is not a lot of access." While border-crossing apprehensions in Arizona are down 43 percent from two years ago, it is a different, more complicated story on the Tohono O'odham Nation. Drug seizures on the reservation are steadily climbing--nearly 500,000 pounds of marijuana was seized last year, a number that has nearly doubled since 2010. Recently, Tohono O'odham police seized $1 million worth of marijuana in just one week. 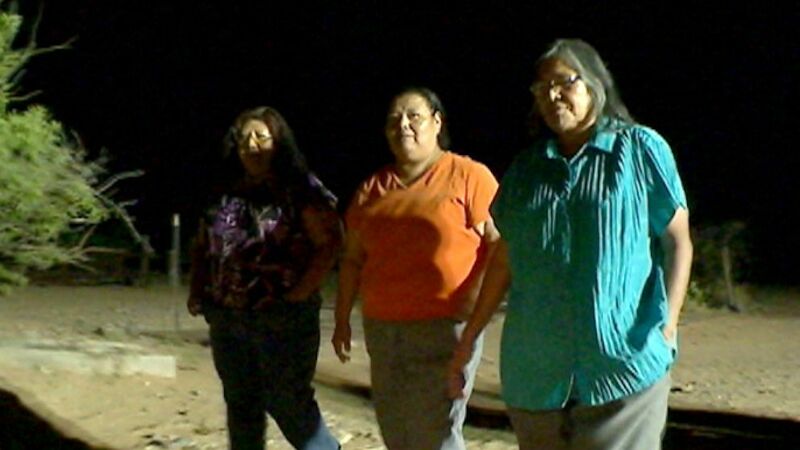 But the Tohono O'odham tribal members are caught in the middle of a war between the Mexican drug cartels coming through their community and the U.S. Border Patrol officers who tribal members say have become more aggressive to stop them. In the Tohono O'odham Nation is "The San Miguel Gate," an area on the U.S.-Mexico border considered to be sacred by the Tohono O'odham. It is the only place where Native Americans can freely walk across the border, but there, the only thing separating Mexico and the U.S. is a low fence guarded by a lone border patrol agent and a light pole powered by a generator. Verlon Jose, a Tohono O'odham tribal leader whose family has lived on the reservation for generations, and other members of his tribe talked to "Nightline" at "The San Miguel Gate." Jose acknowledged that the Gate carries a myriad of problems. "Drugs come through here, migrants come through here," he said. "We see harassment from individuals who are moving contraband north, moving migrants north. Homes broken into, vehicles broken into. It's gotten more aggressive. "Comment: For more on Tohono O'odham, see Kitt Peak Observatory on Tohono O'odham Land and Jance's Tohono O'odham Mysteries. Below: "The Tohono O'odham are caught in the middle of a war between the Mexican drug cartels coming through their community and the U.S. Border Patrol officers who tribal members say have become more aggressive to stop them."